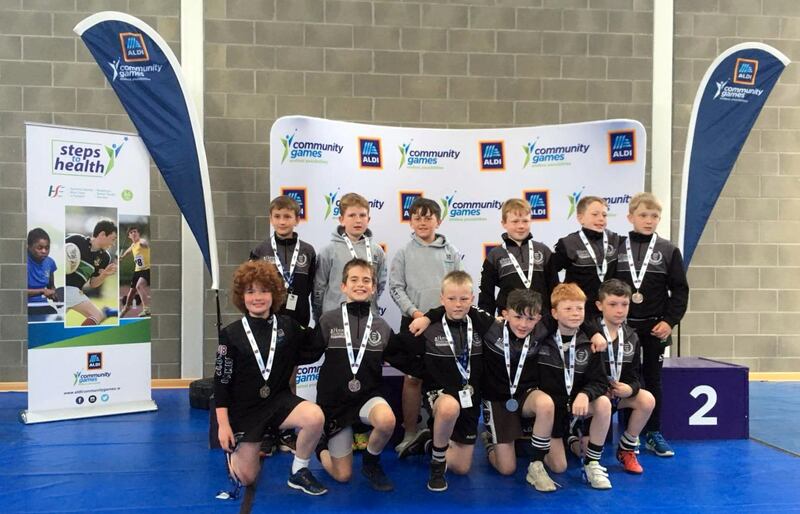 The first weekend of the Community Games National Festival took place this weekend in the University of Limerick, writes Papillon Rabbitte. This was the first year the National finals were hosted by UL and there was a wonderful atmosphere around the campus. Kildare had a 206-strong contingent from 22 local areas travelling to Limerick to participate at a National level. Nineteen competitors from Kilcullen represented Kildare in Swimming, Art, Rugby and Mixed Distance Relay. 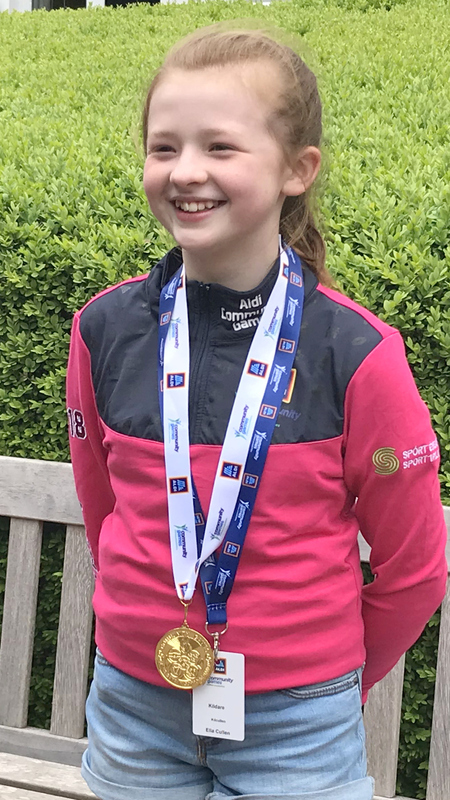 The Art competition yielded Kildare's first national gold medal of the weekend when Kilcullen's Ella Cullen, the gold medal winner in this event at last year's national finals, took first place again in the under-12 age category. The Art event began at 9am on Saturday morning and competitors were given three hours to complete their artwork based on a choice of four themes selected on the morning of the competition. Congratulations to Ella on another fantastic achievement. Our under-11 rugby team (top picture) also competed on Saturday and after winning their first match with a comprehensive win against Sligo progressed to the final where they battled hard but were thwarted by the Munster champions, Limerick, who won 4-2. The boys put in a terrific performance, played their hearts out and thoroughly deserved their silver medals. Well done to the boys and a word of thanks also for the wonderful support provided by both parents and coaches. We hope all the children who took part in the National Festival enjoyed the weekend and participating in their respective events. They did Kilcullen, their parents and their county proud. The 19 competitors from Kilcullen at the National Finals were U11 Mini Rugby (Archie Galvin, Finn Keogh, Jack Fogarty, Jamie Bohan, Matthew Blayney, Myles McNamara, Oscar Monks, Rhys Byrne. Sam Gaynor, Sean Dunne, Sean Hoey, Turlough Donnelly); Mae Cowper-Gray Art U10; Ella Cullen Art U12; Tiarnan Donnelly Freestyle U10; Ella-Louise Donnelly Freestyle U8; Amy and Leah Tyrrell, members of Kildare’s U12 Girls Mixed Distance Relay; and Ben Holloway, member of Kildare’s U14 Boys Mixed Distance Relay.